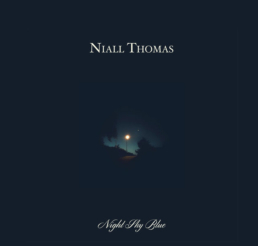 Marking his second solo album, singer-songwriter Niall Thomas released Night Sky Blue on 6th April 2018. Following on from his debut release ‘Breathe Easy’ in 2013, the new ten-track album is a delicately refined and crafted collection of work. Niall Thomas asked Bold&Brass to design his website and implement different tweaks to the chosen Wordpress theme. Recorded in The Guild, Stoneybatter, Dublin with thanks to Karl Odlum, Dave Hingerty, Kevin Murphy, Patrick Daly, Neev Kennedy and Ann Scott who lended their talent, their voices and their musicianship to these songs. Joining Niall on the tour will be the eminent talents of Dave Hingerty (The Frames, Josh Ritter, Paul Brady) and Karl Odlum (The Mary Janes, Mic Christopher, Gemma Hayes) and a few surprise Guests along the way….